Below you will find list of Top CBSE Schools in Thiruvananthapuram 2019. Kendriya Vidyalaya Pattom, one of the most prestigious educational institutions of Thiruvananthapuram, the capital city of Kerala State. Promoted in the year 1980 under the Defence Sector, Kendriya Vidyalaya Army Cantt. Founded in the year 1995, Kendriya Vidyalaya, Air Force Station, Akkulam is managed by Kendriya Vidyalaya Sangathan. 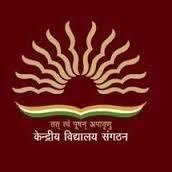 Kendriya Vidyalaya SAP came into existence on 15th June 2007. Established in the year 1992, A.
Abdul Salam Rafi Residential School which has started its journey in the year 1996 from a little point is trying to get the highest points of glory on the basis of various students’ achievements. All Saints Public School was started in the year 2002 to prepare the students for active participation in day-to-day life situations. Amrita Vidyalayam, Thiruvananthapuram, a CBSE senior secondary school run by Mata Amritanandamayi Math is based on contemporary practices of education blended with the ancient gurukula method of teaching. B F M Residential English Medium School was established in 2003 and has proved itself to be the vital and indispensable organ of the organization. Founded in the year 2007, Bharatheeya Vidyapeedom Central School is affiliated to Central Board of Secondary Education, New Delhi and has a common syllabus and curriculum of studies. Promoted in the year 1979, Bishop Pereira Memorial Schoolis a managed by Percivell Charitable Trust. Founded in the year 2000, C.
Christ Nagar Central School started in the year 2005 at Kowdiar Campus is affiliated to Central Board of Secondary Education (CBSE), New Delhi and offers education from Nursery to Class X.
Christu Jyothi English Medium School was started by the DivyaJyothi Charitable trust. Founded in the year 1992, Crescent Central School was started following C.